(Reuters) - The FBI has found no clear motive for the killing of 58 people by a sniper firing down at an outdoor concert in Las Vegas in 2017, the agency said on Tuesday as it closed an investigation into the deadliest mass shooting in modern U.S. history. According to an FBI report, the 64-year-old gunman, Stephen Paddock, was not unlike many other mass shooters who are driven by a complex mix of issues, ranging from mental health to stress, and want to die by suicide. The report also found no evidence that any ideological or political beliefs motivated Paddock, who also wounded more than 800 in the shooting rampage on Oct. 1, 2017. "There was no single or clear motivating factor behind Paddock's attack," the FBI's Behavioral Analysis Unit said, echoing a report issued by Las Vegas police in August. Paddock acted alone when he planned and carried out the attack, firing more than 1,000 rounds during 11 minutes from the 32nd floor of the Mandalay Bay Resort and Casino. As law enforcement officers assembled in the hallway outside his hotel room, he fatally shot himself. "Throughout his life, Paddock went to great lengths to keep his thoughts private, and that extended to his final thinking about this mass murder," officials said in the report. An important aspect of the attack was Paddock's desire to die by suicide as he suffered a decline in his physical and mental health and financial status, the FBI report said. "Paddock concluded that he would seek to control the ending of his life via a suicidal act," according to the report. He wanted to attain a degree of infamy through a mass- casualty attack and was influenced by the memory of his father, a well-known criminal, the report said. 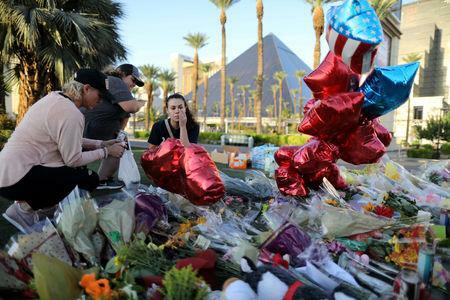 Paddock displayed minimal empathy throughout his life and his decision to murder people while they were being entertained was consistent with his personality, according to the report. As was his nature, he carefully planned the attack, buying an arsenal of guns and ammunition in a year-long spree and methodically researching police tactics and site selection. Paddock even took steps to insure he could commit suicide at the time and in the manner he chose, using surveillance cameras to watch police and bringing a handgun to the room that he used to shoot himself, the report said.